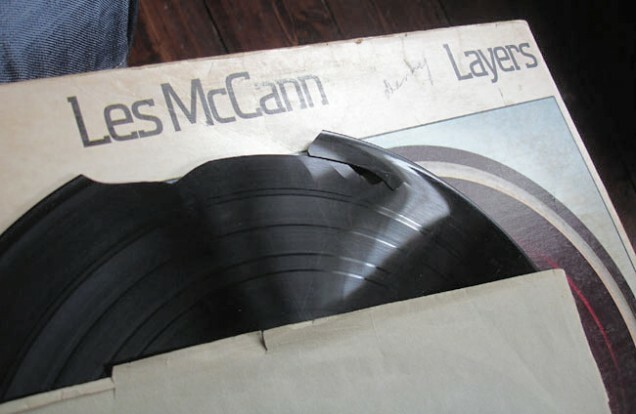 My original Les McCann ‘Layers’ LP fell off the record shelf and is now splintered across the first track on both sides. This was given to me by Bundy K Brown years ago. Luckily I also have a copy of the reissue which he wrote the sleevenotes for – weird. Ouch! I guess you don’t have carpet flooring? Good news about the reissue though.